The Woman’s Earth was a vision that was planted while I was in college. I always wanted to work with women. I created my first empowerment workshop at the age of 19 years old while attending Sam Houston State University and my peers attended. I just think it is a blessing; being part of this one program can be part of a whole movement. Local entrepreneurs Marques and Jai Raven run their own small businesses — a vegan pastry service and a women’s wellness spa. The Ravens graduated from UH’s SURE Program, which partners entrepreneurs from underserved communities with student consultants from the Bauer College of Business. Like many entrepreneurs, Raven had years of experience and education before leaving her human resources job to focus on the businesses. And since getting things off the ground, she’s actually returned to a nine to five to help keep her professional contacts and a steady stream of income. “I believe in multiple streams of income,” she said. WE FIRST DISCOVERED VAGINAL STEAMING—as one does—via an Instagram post from an Austin-based herbalist. The treatment, sometimes called bajos or chai-yok, entails a woman sitting over a bowl of herbs steeped in hot water. We were instantly intrigued. Potential benefits, advocates say, include help with menstrual cramps, infertility, dryness and urinary tract infections. Some say the regimen can even help bring on a period, if a woman’s cycle has been irregular. On Friday, August 23, 2013, Houston Style Magazine was on hand at the Woman’s Earth Nurturing Studio for a Sister’s Soiree: A Happy Hour Supporting the UNCF Walk for Education. 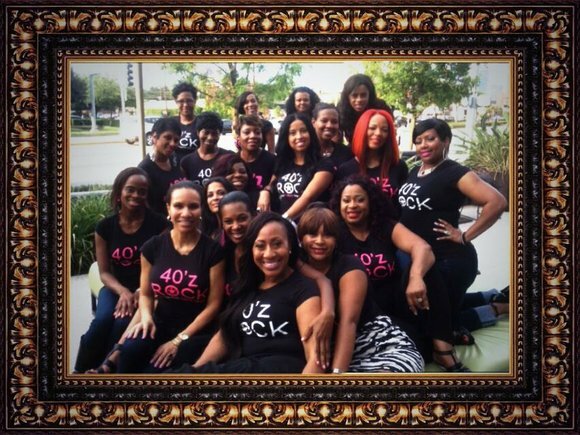 The ladies of 40'z Rock recently spent a Saturday afternoon of relaxation tucked away in Midtown's hidden gem, The Woman's Earth® Nurturing Studio. "I would have never expected this sanctuary to be located in the mostly residential area but after walking through the gated entry, the zen-like music and aromatherapy subtly pushed me into a serene state of mind where all worries were released." The entrance to this 3rd Ward Confident Cottage is reminiscent of a plantation home; gated with a welcoming bow. It’s quiet, though adjacent from Houston’s bustling 288.